For the last three years the Apple has had pretty much a solid and iron grip on the tablet world. As much as it behooves me to say it, the iPad was undoubtedly the leading tablet device. It was powerful, with great responsiveness and Apple’s trademark aesthetic design principle. Few other tablets came close to competing against the iPad. Until now. Microsoft has revealed their Surface tablet, and Google officially announced the Nexus 7 at their I/O, beginning preorder on the same day, shipping pending until mid-July. I just got mine last night, and wasted no time running it through the hoops. The $200 price tag is an absolute steal – co-developed by Asus and Google, it’s superbly built, solid and surprisingly elegant. 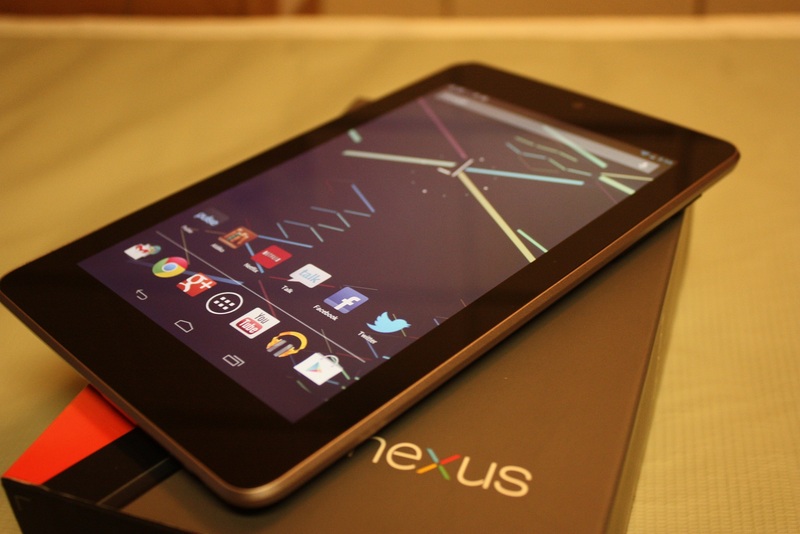 Powered by the Quad-core Tegra 3 processor and 1GB RAM, the Nexus 7 packs quite the wallop. At this price, you’ll get 8GB of internal storage – but you can opt for the 16GB model for $250. The latter may be a good option for some as the device doesn’t come with memory card support. The 7” display has a 1280 by 800 resolution on a scratch resistant Corning glass with a front-facing 1.2MP camera just above it. The Nexus 7 lacks a back camera but that’s understandable at this price-range. The display is actually very good with a really large viewing angle. Moving along, it has a microUSB port and a 3.5mm audio jack at the bottom, and of course the volume rocker and power button on the right near the top. Now one of the awesome things about owning any Android Nexus devices is that it will always get the latest OS update first before any other device. And as such, the Nexus 7 comes with Android 4.1 Jelly Bean installed. If you’ve used ICS then you won’t be TOO surprised by most of the features in 4.1. The UI is much different for those who’ve been stuck with an older Android version (curse the Android fragmentation). And the UI for the tablet and phone don’t really differ much except of course the obvious – much more spacious, and the notification bar doesn’t fill the entire screen. The Nexus 7 also has some amazing gaming capabilities. Once you run the Tegra Zone app you can see a list of games that uses the power of the quad-core processor. I downloaded a game called SoulCraft THD, it’s Action RPG-esque, and it was pretty impressive to say the least. Undoubtedly, this will take gaming on an Android to a new level. And of course there’s Project Butter – Google’s take on making sure that everything runs as smooth as better. And you can really see this happening on the Jelly Bean. The overall responsiveness is amazing and transitions are just seamless. Reading an article on Pulse News and want to open the page on Chrome (which by the way is the default browser for 4.1)? No problem. Chrome will just pop up and you’re good to go. The general lag felt pretty much felt throughout the whole of Android history is gone. It’s not perfect, but you can tell it’s going there. The Nexus 7 is, simply put, an amazing buy. The hardware, OS and the design of the device is just incredible. At $200 price tag ($250 for the 16GB), it’s a steal and one of the best devices I’ve used so far. The Nexus 7 is the best 7-inch tablet PC on the market, period. Sporting a gorgeous display and blistering speed, I’m glad your review also thinks it is one of the best too! Thanks for the solid images also :). Thank you, good sir. I’m glad you enjoyed the review, and hopefully enjoying an awesome Nexus 7! Coming soon: Essential Apps for the Nexus 7! Yes! It’s definitely one of the winning factors of the N7! But, I don’t think people would have minded paying a little either for this great device! 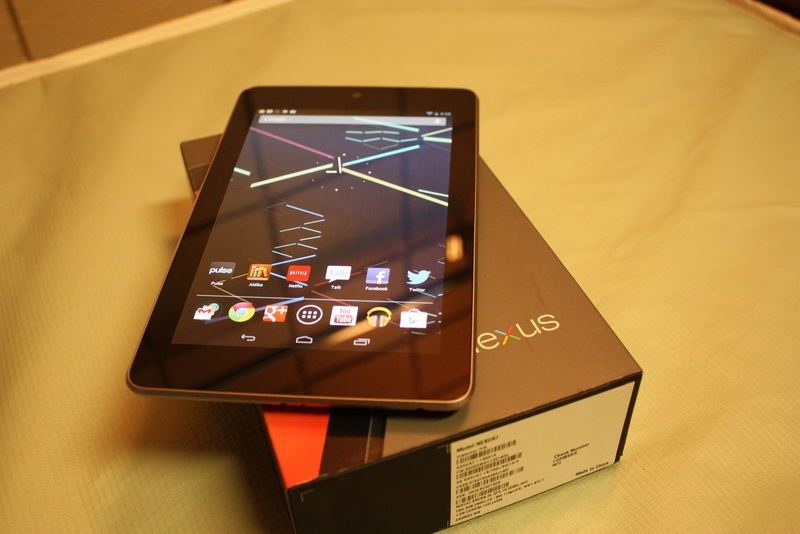 Nexus 7 looks like an interesting tablet, the features and the price are really great. I haven’t yet a tablet but I really think to buy this one when it will be on sale in my country. Do keep this tablet under high consideration – I heartily recommend it! Another gadget that can rule so many people when it comes in techie industry. So what are some of the benefits people can get from the gadget? Thanks for sharing it. Whether you’re a fan of just browsing the internet, keeping in touch with friends, email and messenger, or doing more thing such as reading books or comics, watching movies and even letting movies – there’s something for it all – and everything’s just so blazing fast! I’m in love with it myself. I agree with you 100% and after my own review of it conclude the Android Nexus 7 is the $199 tablet to beat, it outperforms every other tablet on the market and in a detailed review on Ars Technica it showed that it even outperformed the iPad 3 on many benchmarks. Yes! As I’ve said, it’s the best device I’ve ever used. Hands down. Thank you! It’s worth it! Truly inspirational review. I am humbled to have read such an influential review. This review shall be passed down through the generations of tech-loving bros. forevermore.